What the Hell is Study Hacks? 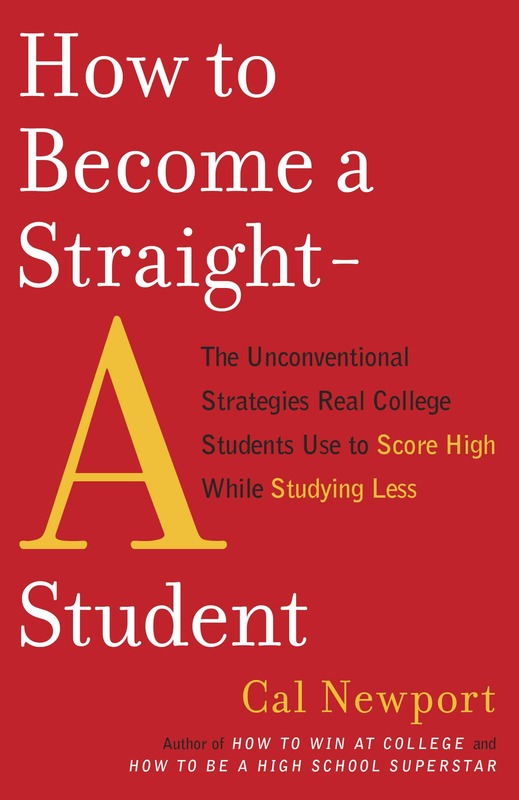 The purpose of Study Hacks is clear: to help students succeed without stress. Know why you’re doing them. All of the important advice on this site circles back to these same three themes. Folks, I’ve been obsessing over this stuff for years. Trust me, this is what works. If you stick around here long enough, you’ll learn that I have an obsession with simplicity. I hate the warped understanding of impressiveness that leads students to try to do many, many things. I think the happiest, most successful students know why they are at college, and they believe this answer. They also tend to do very little, but the small amount of things they do, they do exceptionally well. They recognize that in the end, the world rewards those who are so good they can’t be ignored. By contrast, we forget about the burnt out triple-major who joined 10 clubs to show leadership and managed to earn a 3.9 without ever once impressing a professor. I applaud the student who adopts a balanced and reasonable courseload, and leaves enough free time in his schedule that he can saturate himself in the material — letting it get inside his head and stew for a while; the type of student who tolerates a little boredom as the price you pay for doing stuff well. I think studying is an art and should be taken seriously. (I even wrote a whole book about this.) Most students are terrible at studying. The best students, however, are like scholastic maestros: their methods for note-taking, reviewing, and paperwriting are magical in their efficiency. I have a weird obsession with reducing e-mail (even though I don’t get much). I harbor an inexplicable hostility towards business majors. These are the ideas that drive Study Hacks. It’s not for everyone. But for some of us, it just seems to make a hell of a lot of sense. Ha! I somehow missed the hostile post about business majors. One of my English professors mentioned how a lot of her friends who got a degree in English literature are CEO’s of companies. Time to get over your irritation with business majors. The world needs all types. 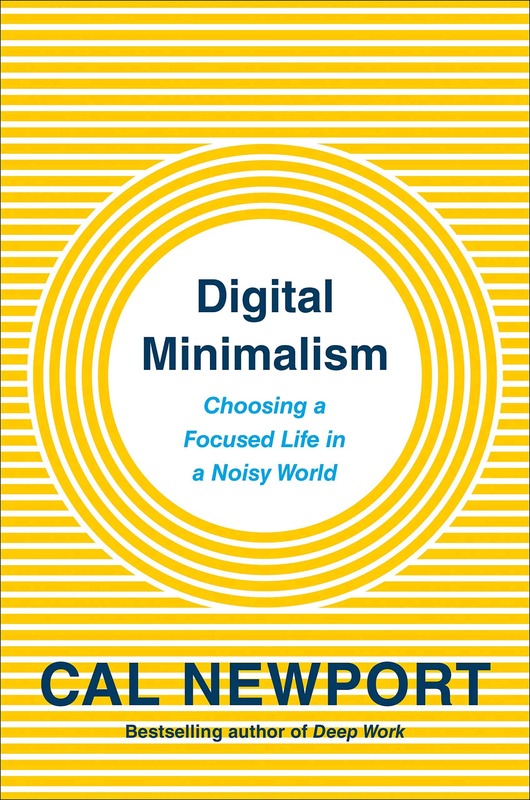 I love your blog, read it every day and glean a ton of useful and practical advice from it. Plus, I have both of your books and Straight A rocks! Weird! Weird! Not wierd! Argh…. By the way, how *does* one get a 3.9 without once impressing the professor? Surely if you’re getting As, and the professor has standards, you’re producing something insightful or exceeding expectations? Time to get over your irritation with business majors. I was being somewhat facetious. I don’t really dislike business majors, but I realized, going back through my archives, that I tend to hammer on them pretty hard! By the way, how *does* one get a 3.9 without once impressing the professor? I know everyone’s on your case about ‘disliking’ business majors, but I have to agree it shouldn’t be a fall-back major for students who don’t know what else to take. That being said, as a business major planning to become a professional accountant, if I were to take a different major I would definitely be putting myself at a disadvantage since ALL of the courses required to obtain a designation will be complete upon my graduation. If I took a different major I would still be eligible for designation; however, it would take me many more years to complete. I was trying to be a little funny with those last lines, but it seems they’ve become a little distracting. Oh well. Hey Cal! I like this post a lot..even for people that’ve been reading your blog for a while, it’s a good reminder/reinforcement. Study Hacks is analogous to Maxwell’s Eqts of E&M. This isn’t some “expert’s” advice, this is real stuff that works. @DutchSchoolKid, I bought the pdf online, no delievery time~ yay! Get a friend or professor to use their card. I am a college student in Taiwan. Just wanting to let you know how much I’ve benefited from your site: I got a 4.0 last semester, in fact I was #2 in my department; I am currently participating in two clubs one is Model UN and the other is World Volunteer Service. I am totally not a socially isolated nerd. I really appreciate your blog and your book!! When will you publish your third book? Nice post Cal. BTW, I remember you mentioning in a previous post, something about “The Grade Whisperer.” That’s sounds very intriguing. When’s that coming? When will you publish your third book? I believe it’s slated for next year around this time. But it focused on college admissions, so you probably won’t find it as relevant. I remember you mentioning in a previous post, something about “The Grade Whisperer.” That’s sounds very intriguing. When’s that coming? Soon! I can’t say exactly when, but I have a few “cases” in progress via e-mail, and look forward to transforming them into the first posts in this series. This was the best line, loved it Cal – cause studying less to get more is my way of life! Hi, I’m a struggling fourteen year old. I’m smart, but I just CAN’T find the determination to apply myself to school. I cruise through my classes, making straight 90’s and not really giving a damn. I’m in all honors, etc. etc, but my heart isn’t in it. I just discovered your website this morning, by Googling “How to make school more exciting.” I like hearing what you have to say, and maybe your hacks will help me do better! Its worth a try, right? Second, resist at all costs building up a busy extracurricular schedule full of things you think you should be doing. This is a sure path to deep procrastination and burnout. Find something you can start/join right now that’s related to coputers. And start poring your extracurricular attention into that. I decided last night around midnight that that was sort of what I wanted to do. I realized my problem was that life in general is a bore, and that I needed more fun in my life. So, I’ve started keeping a notebook, journaling my day’s events, and the general idea is to increase fun, and motivation as a result. I’ve been toying with the idea of making it into a blog, (written in HTML), so that I can practice my web design skills and continue my “mission” at the same time. Its been really hard, not having friends around, I moved from New Jersey to Atlanta about a year ago and I don’t have any REAL friends down here in Georgia. Believe it or not, the motivation for my sudden action was a comedy routine. If you haven’t seen “If I”, by Demetri Martin, I strongly encourage you to watch it. It’s the story of the life of a chronic overachiever, where his desire to succeed ends up becoming his downfall. At times it is sad, and others its downright hilarious. Thanks a lot for the great tips here on your site, I’ll start reading as soon as I get home. I’m in Language Arts, supposed to be researching for a reasearch paper I have to write. I don’t even know what to write it ON. Hey there. As a current undergrad at your alma mater, I’m finding your blog extremely helpful for getting my life back under control. I had a rather difficult fall semester that consisted of me taking a physics class for which I was not well prepared (8.012) and ended up failing despite every vain effort to keep up. Nowadays, after stumbling upon your blog, I’ve slowly seen an increase in my productivity and mental attitude. Thanks! Nowadays, after stumbling upon your blog, I’ve slowly seen an increase in my productivity and mental attitude. Thanks! You should share what techniques in particular are helping. I’ve found my readers like to here about real life trials of the advice. I’m glad I stumbled over this site. I’m dead scared of classes at my college, GT(obviously I’m an incoming freshman). But I’m much more optimistic now that I have your site. Thanks! Pingback: The Renaissance Project · Reload! Again! Of course an English Professor is going to have friends who are *shocking* english majors. And hell, I’ve been a CEO of a company since age 19–sure-I STARTED the company. Hi cal, I’m a first year english literature and language student who’s just come across your inspiratonal ‘give yourself a good pep talk’ site ! Thankyou! Ive just had some pretty crummy ( that’s rubbish to you americans….I’m english by the way!) results for last semester.My biggest problem is time mangagement skills, mother of three children..just given job up to study full time, and feeling a little out of touch with academic learning at the moment. Anyway your simple, but very effective words of wisdom have been very helpful this morning…. so thankyou, I’ll make sure to look at the site regularly. y biggest problem is time mangagement skills, mother of three children..just given job up to study full time, and feeling a little out of touch with academic learning at the moment. Anyway your simple, but very effective words of wisdom have been very helpful this morning…. so thankyou, I’ll make sure to look at the site regularly. Penelope, a professor I had here at MIT told me the story of having her first child while a graduate student. She claims that it actually improved her performance (evidenced, I guess, by her professorship at MIT). The key for her was this realization that her time was limited — her day now only offering a small number of unambiguously “open” slots. So she started to attack those slots with intensity, focusing on the absolutely most important steps toward her academic goals. In other words, viewed the right day, your unique constraints as a mother might help you fall into the schedule of intense attacks that many students struggle with. I am a living example that the methods of Study Hacks works!! I’m a freshman on my spring semester of college now. Fall semester was a disaster. I was doing psuedo-work, I procrastinated— everything I was doing was extremely wrong! So, I basically crashed and burned during Fall semester finals. So, over christmas break, I found this website and ready EVERY single article. I’ve been applying basically all these methods. And, I got rid of Facebook (distractions). Now, I’m getting A’s in every one of my courses plus I am completely stress free!!! I love it! Thank you Cal Newport! – At first glance I read “an inexplicable hospitality”. Then I re-read. I empathize with you, and do not understand fully understand the motives behind knowledge when it comes to Business students. Having said that, I’m sure they’re great people! Wish I had found your web site sooner. My kids could all have benefited from less work….Have a senior in HS now. Any last minute things I can do to help him relax and enjoy? Have a senior in HS now. Any last minute things I can do to help him relax and enjoy? 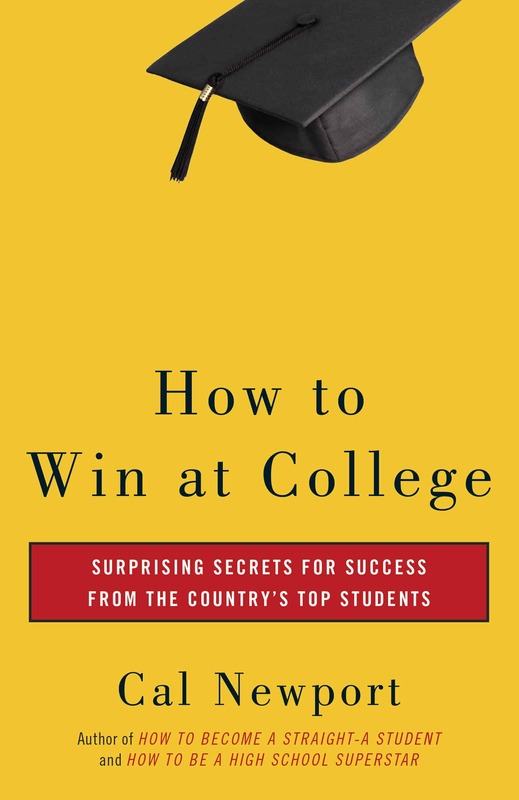 Consider getting him a copy of my latest book: it can establish a mindset that will last into college and beyond. 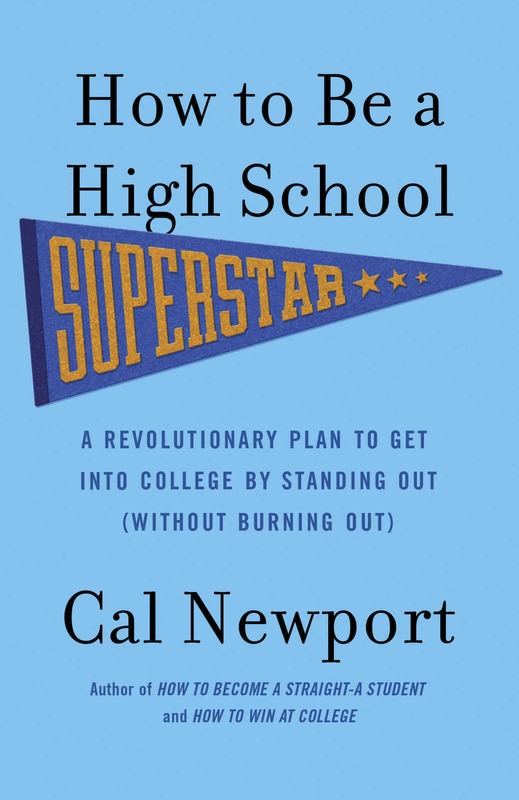 I read your book “How To Become a High School Superstar,” and I still feel the book’s advice was too vague for me. I’m a high school junior that has volunteered at numerous organizations for the city (library, festivals, museums), yet I still feel I lack some important connections. What would your advice be, for say, getting involved with my city’s local government? As a first generations college student I wish I would have known about this sight when I was first starting out in school. It would have saved me a few headaches. Would you mind if I cited you and a few of your ideas for my blog for first generation college students? about this topic, this letter is interesting, Feynman and Wolfram! Nice one. I can’t understands how anybody can choose business over something practical. And maybe even interesting to them. I actually like entrepreneurs, but I don’t like to study it in uni. I rather be street educated than a business major. I appreciate the thought that life can be done simpler. How would you recommend fighting the urge to overcomplicate because you want to be the individual who does a million things while maintaining a 3.9? As someone who used to be the “3.9-er” who no longer has the ability to do so, I would like some advice on this. There are different types of learning and you don’t even address this. Some people learn visually, some by ear, some by movement, and some are what are called “read-write”. I think there is a fourth. All I know is that I have to recopy my notes after class and put notes from my reading in with it. He’d tell me I was wasting my time. He’d be wrong. That’s how I (almost) aced Anatomy and Physiology. Why didn’t I ace it? Because the professor decided to embarrass me in front of the entire class and I stopped studying. I still earned a B+. OMG. I may be literally ten years late, but I have arrived at the Study Hacks party. This is truly life-changing advice!